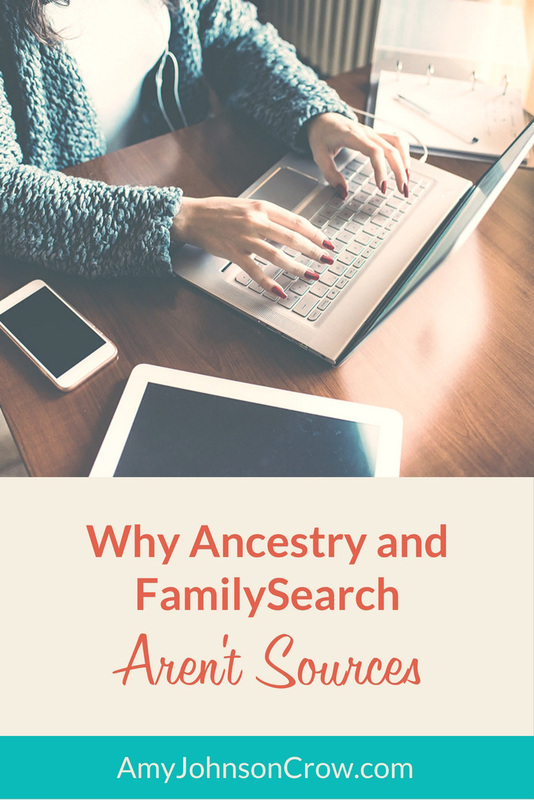 Ancestry and FamilySearch — along with sites like FindMyPast and MyHeritage — have millions of records that we can use in our genealogy research. However, none of them are a source. Here's what I mean. Yesterday, I was following the stream of Tweets from the RootsTech conference. (Not able to be there in person, following on Twitter and watching some of the live-streamed presentations was the next best thing.) During one of the sessions, a person on Twitter commented that there were people who thought traditional (read “scholarly”) source citations were too hard and cumbersome. They wanted to enter one line and be done. A short discussion followed on Twitter about why this is and don’t people want to have good research. To allow the researcher and others to find the source of the information being reported. To aid the researcher and others in evaluating that source. To those ends, I say: I don’t care where you put the comma. Just tell me where you got the information. Karl, Katherine A., Joy V. Peluchette, and Leda M. Hall. 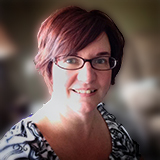 “Give Them Something to Smile About: A Marketing Strategy for Recruiting and Retaining Volunteers.” Journal of Nonprofit & Public Sector Marketing 20 (2008): 71-96. Karl, K. A., Peluchette, J. V., & Hall, L. M. (2008). Give them something to smile about: a marketing strategy for recruiting and retaining volunteers. Journal of Nonprofit & Public Sector Marketing, 20, 71-96. Both give the same basic information; the only real difference is format. The APA citation doesn’t give the authors’ first names, but I still have enough information that I can find the article. Does having the author’s surname come first help me find the article? No. Does having the article title come before the journal title help me find the article? No. Does having a comma after the second author and before the “and” or ampersand help me find the article? No. Does using the word “and” instead of an ampersand help me find the article? No. I believe that we as genealogical professionals are being counterproductive when we push so hard for what we call a “good” citation. 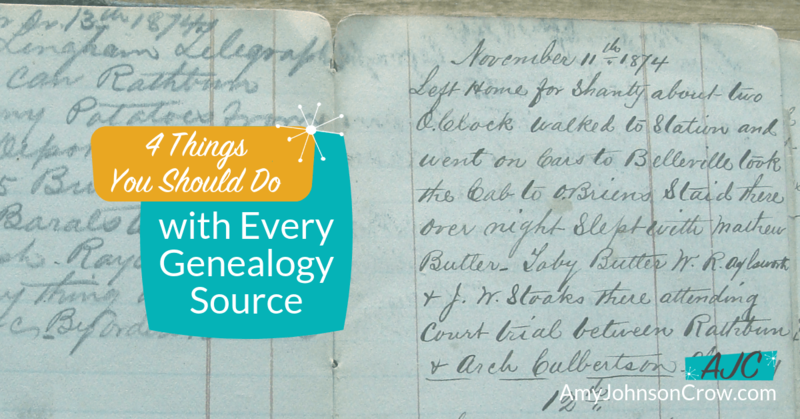 Let’s not forget that for most people, genealogy is a hobby — a serious hobby, but it’s still supposed to be enjoyable. Scholarly source citations probably brings back nightmares of late-night term paper writing in high school and college. Wouldn’t the field be better off if instead of harping on “good” citations — what you italicize, what you put in quotation marks, where you put the comma — we focus our efforts on getting researchers simply to have source citations? Wouldn’t we be better off if someone had “Graham’s History of Fairfield and Perry Counties, Ohio, (pub. 1883), page 452” instead of nothing? That citation is far from perfect — it’s missing some key publishing information and doesn’t follow any established style — but I maintain that it is much better than nothing. 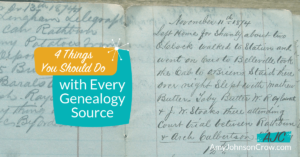 I am not saying that genealogists shouldn’t cite their sources if they are not going to publish. Quite the contrary. I believe that source citations are imperative to good research. Source citations allow the researcher to review what he or she has and to identify holes in the research. What I am saying is that we sometimes put too much emphasis on the format and not on the content. Let’s take the pressure off. Let’s encourage people to have the elements of a meaningful, useful source citation. Let’s stop harping on the format. If the elements are there, we can put the commas in later.